The stylishly designed lampshade of the Empatia Sospensione LED by Artemide is a paragon of elegance. It owes its extraordinary radiance to Venetian glass blowing art. The diffuser is furnished with a "hat" made of matt opal glass, which lends the pendant lamp an aura of genuine uniqueness. The Artemide Empatia Sospensione LED is the result of a perfect symbiosis between design and lighting effect. On the one hand, this pendant light impresses with a tasteful combination of hand-blown glass and fine, lacquered aluminium. On the other hand, the Empatia Sospensione LED by Artemide scores points as an intelligent lighting solution that reflects and distributes the light in such a skilful way that nobody is blinded and that no luminosity is lost. 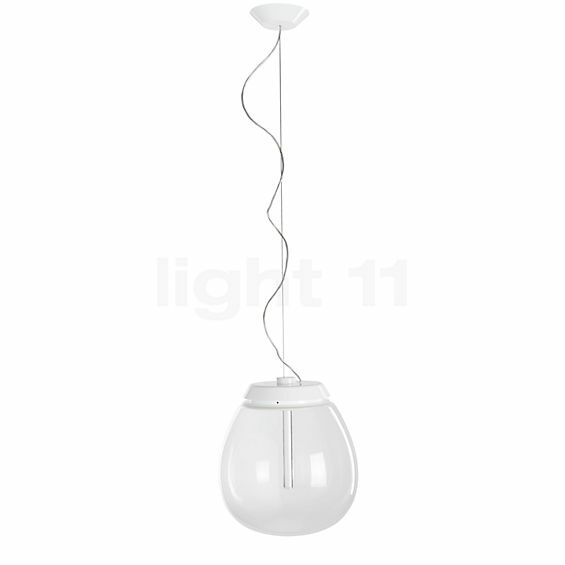 The Artemide Empatia Sospensione LED was designed by Carlotta de Bevilacqua. The Italian designer is one of the most famous players in the area of contemporary light design. Carlotta de Bevilacqua and Paola Di Arianello designed the Empatia Sospensione LED pendant light in 2013 for the manufacturer Artemide. The pleasant lighting effect is created by modern LED lamps with which the Artemide Empatia Sospensione LED is equipped. The diodes are integrated in the mount that connects the lampshade with the suspension. By means of a transparent polycarbonate stick that directs the emitted light to the matt area at the bottom of the diffuser. In this way, the pendant light creates softly diffused light that spreads evenly in the room. In addition, the Empatia Sospensione LED proves to be a particularly economical lighting solution. The pre-installed LED module of the suspension lamp by Artemide supplies extensive lighting at a very low power consumption. Tell other customers and us about your experiences with the Empatia Sospensione LED ! 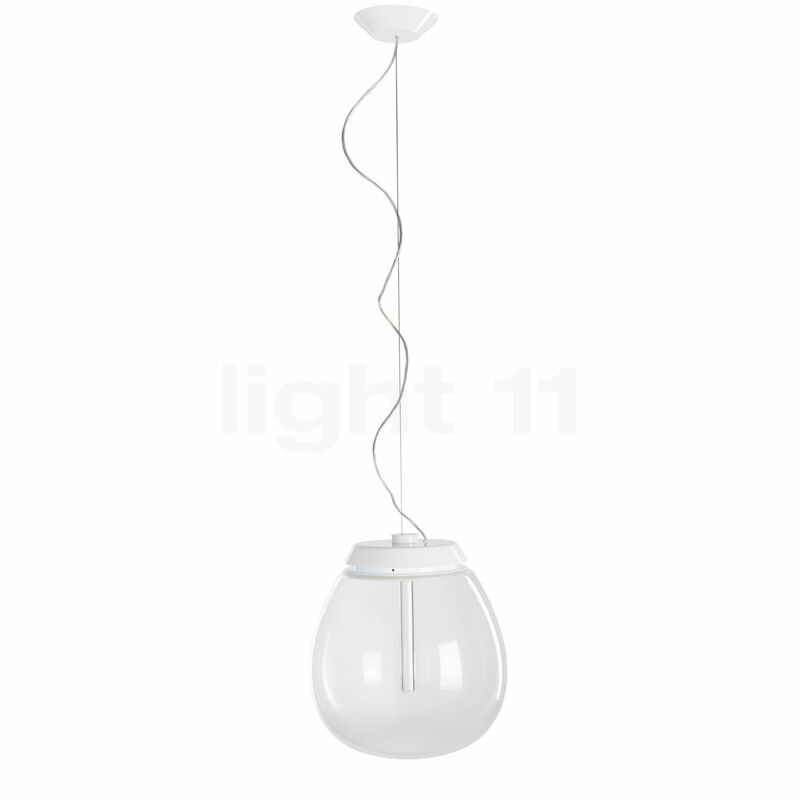 This elegant light source by Artemide provides soft zone light that is directed downwards. Thanks to its pleasant light, the Artemide Empatia Sospensione LED pendant light is ideally suited for installation above a dining table in the kitchen or the dining room. Here, it illuminates the food and drinks in a focused and pleasant manner so that the joint meal turns into a harmonious experience. However, the Empatia Sospensione LED also comes into its own in the living room as a stylish eye-catcher that unfolds wonderfully atmospheric lighting.